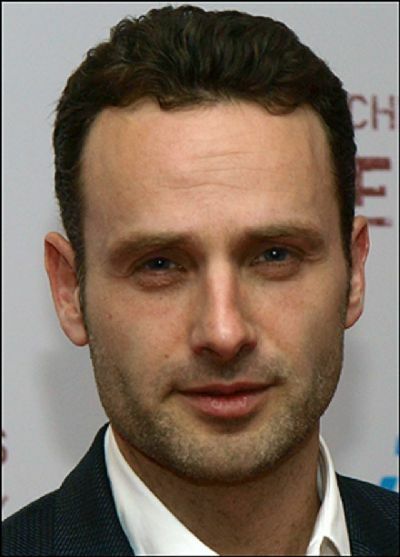 Andrew Lincoln is an English actor, known for his roles in the TV series This Life, Teachers and Afterlife, and the films Love Actually and Heartbreaker. He currently plays the lead role in AMC's television series The Walking Dead. Lincoln was born in London to a South African mother, a nurse, and a British father, a civil engineer. He grew up in Hull and moved to Bath at the age of ten. After leaving Beechen Cliff School, he attended the Royal Academy of Dramatic Arts , where he changed his name from Clutterbuck to Lincoln. He grew up with an older brother called Richard Clutterbuck, who is the founding head of Bristol Free School in 2011. Lincoln made his first on-screen appearance in "Births and Deaths", a 1994 episode of Channel Four sitcom Drop the Dead Donkey. His first major role was Edgar "Egg" Cook, one of the lead characters in the highly successful BBC drama This Life (1996–1997). He went on to star as probationary teacher Simon Casey in the Channel Four sitcom Teachers (2001–2003), and had a lead role as university lecturer and psychologist Robert Bridge in Afterlife . Lincoln has also appeared in several films, including Human Traffic and Love Actually . In 2009 he appeared in the stage production of Parlour Song. He went back to England after filming the Sky One TV series Strike Back in South Africa. He also starred alongside Vanessa Paradis in the French film Heartbreaker. In April 2010 Lincoln was cast as Rick Grimes, in the live-action adaption of the comic The Walking Dead and narrated the project on San Diego Comic-Con International 2010. Lincoln directed two episodes in the third series of Teachers. On 10 June 2006, he married Gael Anderson, the daughter of musician Ian Anderson of the rock band Jethro Tull. At the wedding, Apple Martin was the flower girl. Whole or part of the information contained in this card come from the Wikipedia article "Andrew Lincoln", licensed under CC-BY-SA full list of contributors here.